Motorola Droid 2 is the successor to Motorola Droid smartphone, which together with Motorola Droid X, are the most popular Android-based smartphone that gives iPhone a run for money. Motorola Droid 2 comes with native Android 2.2 (Froyo) as stock operating system. 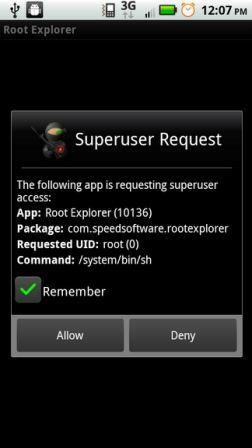 For user who wants to take full advantage of the Motorola Droid 2, root the device seems like a must. Here’s the guide on how to root the Motorola Droid 2 (Droid2) on version 2.2.19.A955 and 2.2.20.A955, and possible later versions. Note that rooting requires advanced skills, and may brick the phone, and all risks have to be assumed and bore by the owners. Hacking and rooting the Motorola Droid 2 has become an easier job, thanks to works by several hackers and developers who compiled scripted 2-step program and even 1-step program which can do the rooting job automatically. Extract and install or update Android SDK package to computer. The file comes in a zip file. Just open it up and drag and drop the android-sdk-windows folder to local C drive. Next, extract the files from the DoRoot zip file to the Tools folder of Android SDK. You should be moving 7 or 8 files into the Tools folder. Install Motorola Mobile Phone USB Drivers with MotoConnect. Tip: To stop the launching of the Verizon/Motorola site when connecting the phone, right click on the MotoConnect icon in the notification area, and select “Nothing” as the option for “When phone connects”. USB debugging icon has to show notifications. Try Charge Only if you can’t get PC Mode to show USB debugging. The Droid 2 will be automatically rooted once process is completed. Extract and install or update Android SDK package to computer. The file comes in a .tgz file. Just open it up and drag and drop the android-sdk-linux folder to home directory or desktop. Next, download the doroot.sh file and put it into the tools folder of Android SDK. Alternative: Download and execute adbdl.sh, a simple script that will download Android-SDK, extract it, and start it up for updating, and finally download the doroot.sh file. Make sure the phone is in PC Mode with USB Debugging enabled. Essentially, the programs above automates the execution of the following commands, which otherwise can be prone to error when running.